These boxed sets of note cards are a stylish solution for keeping in touch - great for Names & Initials, Thank You's, or just a quick note to say "Hi". This flexibility makes them perfect for any occasion...or no occasion at all! They also make a great gift for someone special! 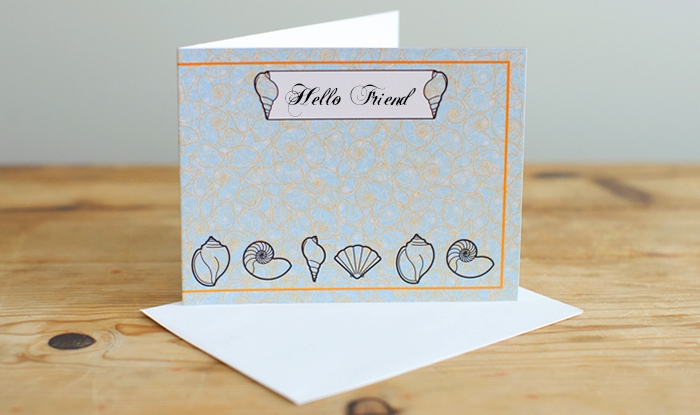 Each recycled note card has a designated space on the front for a personal greeting. Sets can be ordered blank (so you can write your own greeting by hand) or custom printed. For custom printing, simply type the name or greeting in the space provided above exactly as you would like it printed and then select a Font and Color. Please note that there is a minimum website order requirement of $12. Email Us with questions about products, custom designs, or just to say Hello! home | about fish lips | faq | email fish lips | your cartCopyright � 2015 Fish Lips Paper Designs All Rights Reserved.